It’s been really long since I wrote a post dedicated to SGD INR and as 2018 fast approaches time is ripe to share my views on how SGD INR could move in the following months. Given the politically volatile times that we live in and dilemma the central banks in developed economies face with prolonged period of low inflation, a few interesting scenarios might play out. Starting with India, with the implementation of demonetization and GST the countries GDP has taken a hit, which was not entirely unexpected. Any country that has implemented GST, experienced turbulent time of approximately 18 months before the benefits started to roll in. Alongside the GST implementation, the government has also been aggressively pushing for interest rate cuts to increase the economic activity. However, with the recent inflation print which came above expectations and crude oil prices persisting above 50 USD a barrel, the chance of rate cut in December ’17 is next to zero. The risk of inflation further accelerating is high and RBI has rightly held off reducing rates further until there are signs of moderating / low inflation. Now, a lot of this can be resolved if the manufacturers/producers start passing the benefits of reduced taxes from implementation of gst to consumers, this would result in reduced prices, which will lead to lower inflation and set the stage for a RBI rate cut but structural reforms of this scale take time to fine tune. On the political front, the elections in prime ministers home State of Gujarat are scheduled in less than a months time followed by a few more states with the National elections soon in sight in 2019. Any upset in the elections or signs of losses to the ruling party will result in re-evaluation of investor sentiment in India. Now looking at the global factors, the 2 major central banks have diverged their monetary policies with Federal Reserve firmly on a path of rate hikes and ECB continuing with its Bond Purchases and negative interest policy well into September 2018. Japan has also indicated to continue with ultra loose monetary policy until inflation hits 2%. How did central banks arrive at this 2% magic figure is still beyond my understanding but that is a topic for another post. With the US Federal Reserve increasing rates, reducing interest rates will be extremely challenging for RBI and without lowering rates encouraging new investments in India that leads to Job creation a distant dream. A divergence of relative yields between US treasuries and Indian bonds can result in a sudden flight of capital from the country. At the same time the valuations in the Indian stock markets are at all time highs and the market trades at PE of over 23 which again by historical standards is high and suggests a correction. Infact the global stock markets are trading at an all time high with this liquidity driven rally. With Federal Reserve increasing rates, the investors will be forced to consider cost of capital which could result in market correction and money being taken out of India. The silver lining amongst all this is that Indias foreign reserves have crossed 400 Billion dollars and that would provide some cushion against external shocks. 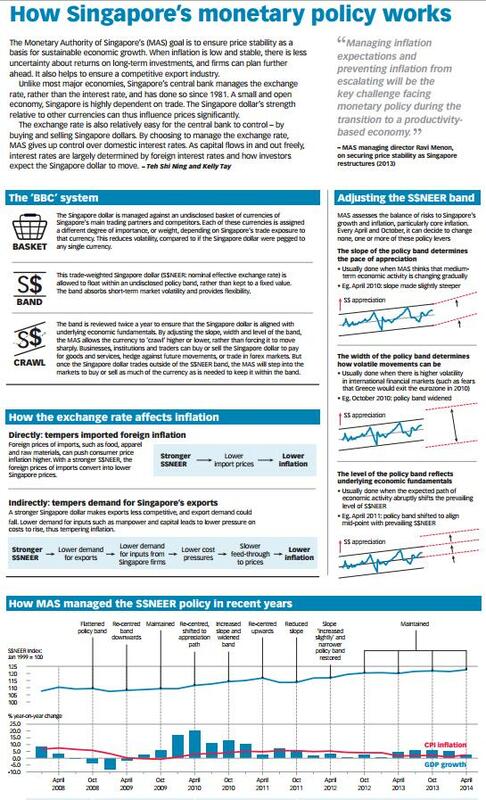 In Singapore, the inflation and GDP growth has picked up but is still erratic. Singapore Dollar being a managed currency against a basket of currencies, of which USD, Euro and Japanese are a part of, the policy divergence between US and Europe will be interesting to watch. 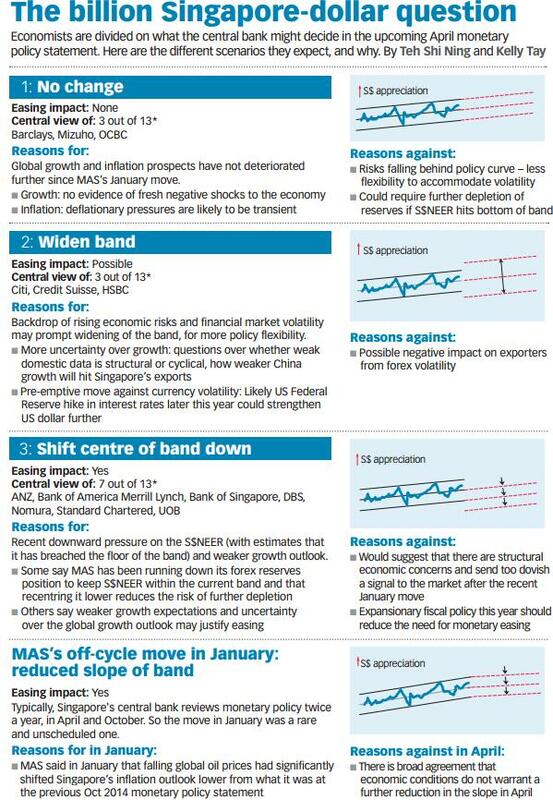 MAS administers the monetary policy through exchange rate and is maintaining a neutral slope of exchange rate band but with US Treasuries strengthening yield curve how long would this band remain flat is a question worth asking. Another very important factor not much talked about is the political succession in Singapore. Prime Minister Lee Hsien Loong has expressed his desire to step down as the prime minister or atleast have a succession plan in place. Who will succeed him and the political fall out from that move can impact Singapore economy and SGD. Singapore is fast trying to re-invent itself and write the next chapter of the growth story by catching on to the fintech wave and bio medical Research. Can these initiatives bring in new investments and create jobs will have to be seen. So both currencies have their set of political risks and also will be impacted by increasing US interest rates. Singapore being a smaller economy and having shown greater nimbleness to react to global events is slightly better placed when compared to India making SGD slightly stronger than Rupee on a relative basis. I believe that just like 2017, 47.50 will play a pivot for the currency pair and we could see a range of 46 to 50 in the coming months as the inflation conundrum plays out – India wanting a lower inflation so that they can cut interest rates and developed world wanting higher so the rate increase cycle can continue.